It’s got a name, this childs toy, but we’re not sure what it is. We just call it Kimi’s Jumpy Jump. It’s not even ours. 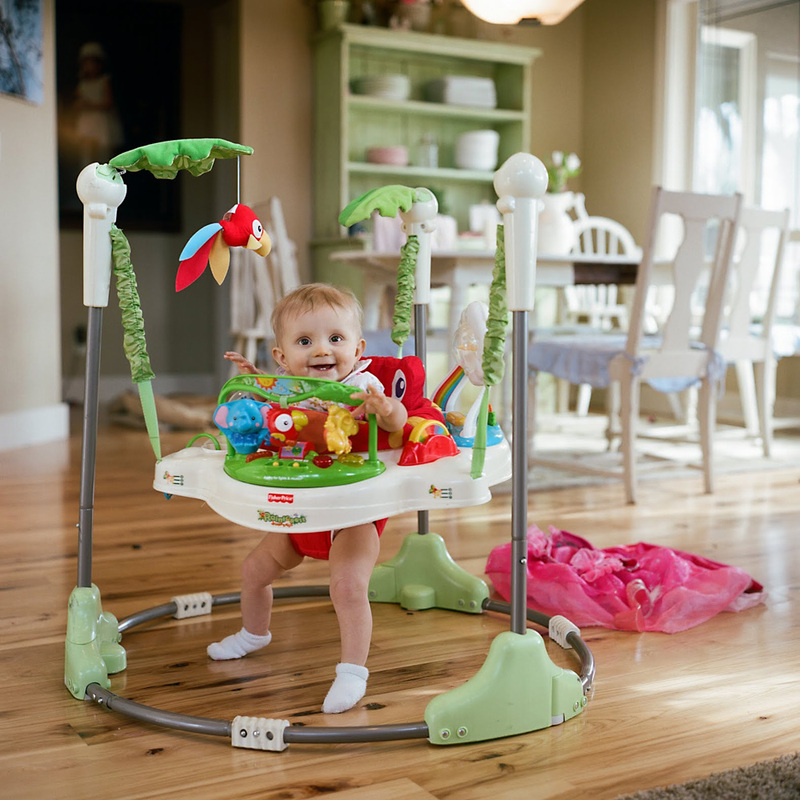 It belongs to Kara and her baby Marlo should be the one jumpy jumping in it. It’s funny what we name things. Correct nouns are discarded easily. I call Grace Bear Cakes now. I called her Miss Bear for a few months. Then Baby Cakes and then it modulated into Bear Cakes. We call our vehicle “the Troop.” It’s an Isuzu Trooper. Sams family shortens every two-word term. They call Banana Republic just “Banana”. And the restaurant CheeseCake Factory simply “CheeseCake”. This is what you might hear them say. And they all understand without question. Sam just reminded me about Kimi’s nick name. Kimmer Fredette. 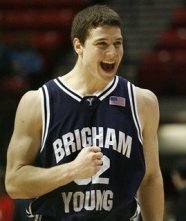 BYU basketball player Jimmer Fredette was the inspiration. It was Kimmer Fredette, then Fredette now it’s just Ferdie.